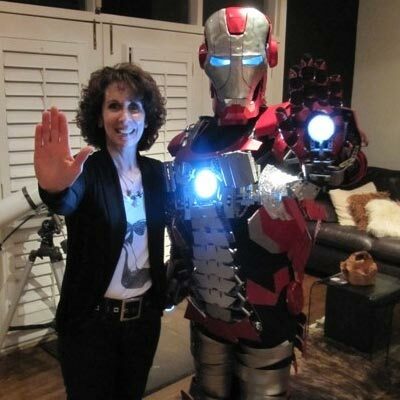 People have been making Iron Man suits in their basement almost since the first comic appeared on store shelves. Granted, they don’t usually have working weapons and since the suit is most often made of duct tape and cardboard, withstanding a missile attack seems unlikely. 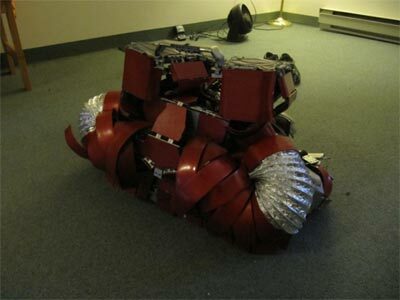 Still, making something that at least sort of looked like something Tony Stark once wore was doable, and people did it. But in Iron Man 2 Tony Stark managed to fit his entire costume in one, easy to carry briefcase. How do you pull that off with rubber hoses and baling wire? I’ll show you. 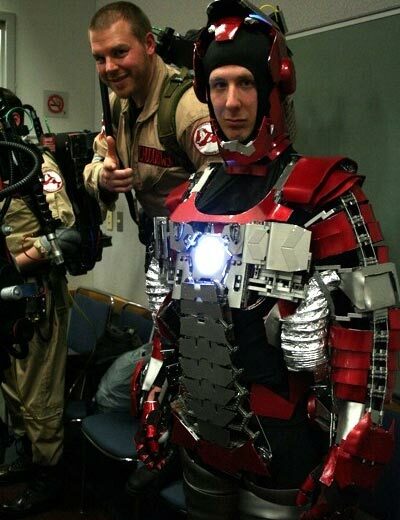 The armor was designed by, and is worn by, longtime cosplayer Ryan Brooks. If it looks from the video like it’s made out of Legos, that’s because it is, thousands of tiny LEGO Technic blocks to be specific. Here’s a couple of closeup looks at Ryan’s work. See even more at his cosplay page right here.